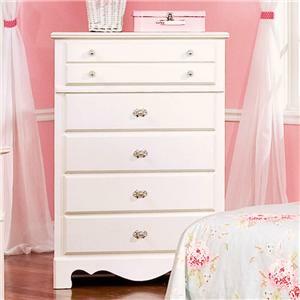 Storage abounds in your bedroom when you add this chest of drawers with six spacious drawers. Keep your clothes and valuables stored neatly away and out of sight. 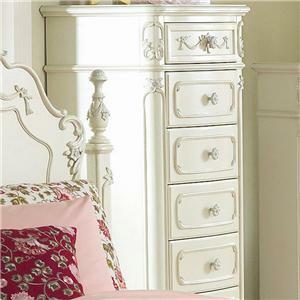 Traditional styling adds elegant appeal to your bedroom. 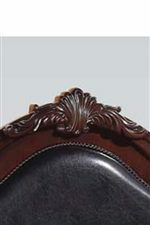 Completed in a Cherry finish, this piece is exactly what you have been looking for. 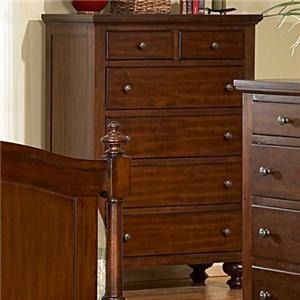 The Gwyneth Chest with 6 Drawers by Acme Furniture at Carolina Direct in the Greenville, Spartanburg, Anderson, Upstate, Simpsonville, Clemson, SC area. Product availability may vary. Contact us for the most current availability on this product. 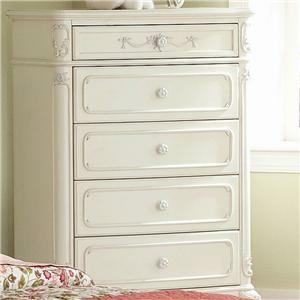 Invite stunning, traditional style into your master bedroom suite when you add this handsome collection for a perfect look.With bracket feet, crown moldings, and antique styled hardware, this collection brings old world charm straight into your home. Each storage piece has ample room for you to keep all of your clothes and valuables neatly out of sight and organized. Transform your bedroom into a stylish getaway when you add this collection to your master bedroom suite. 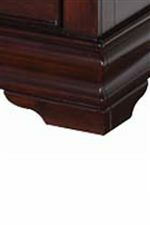 The Gwyneth collection is a great option if you are looking for Traditional furniture in the Greenville, Spartanburg, Anderson, Upstate, Simpsonville, Clemson, SC area. Browse other items in the Gwyneth collection from Carolina Direct in the Greenville, Spartanburg, Anderson, Upstate, Simpsonville, Clemson, SC area.